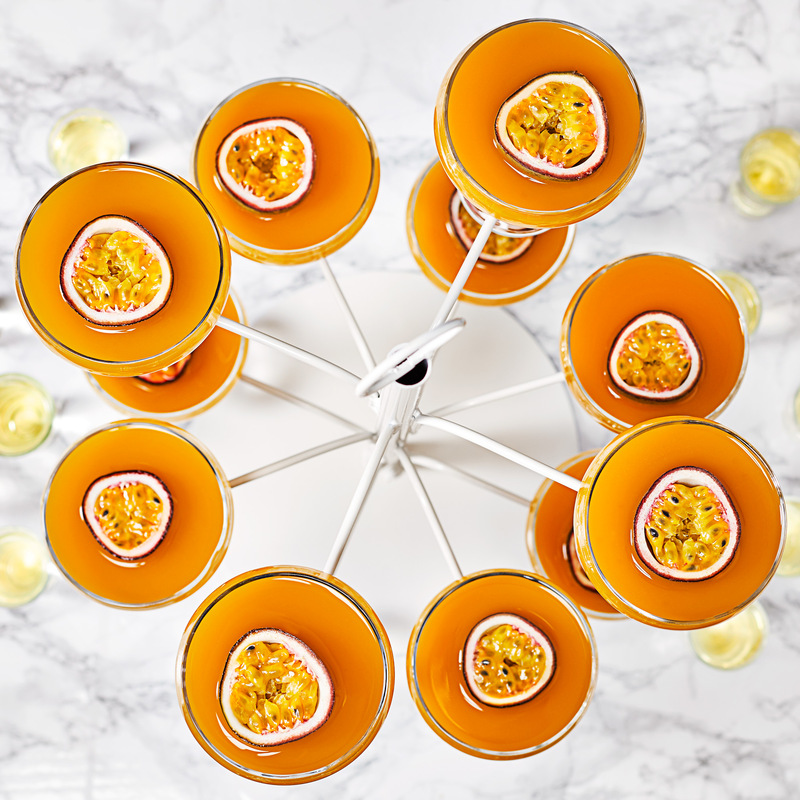 With 12 arms, this Cocktail Tree is ideal for an impressive drinks presentation at parties and events. Specifically designed to hold our City Champagne Coupe Glasses , City Gin Balloon Glasses, City Champagne Glasses and City Margarita Cocktail Glasses. Perfect for a truly unique and classy cocktail or champagne display, all you have to do is fill up your glasses and serve in the pride of place for your guests to serve themselves. Ideal for serving up to 12 glasses, you can serve a variety of beverages to present champagne at events or gin tasting evenings. Perfect as a show stopping centre-piece that really gets people talking. As made popular in bars and restaurants for serving multiple cocktails at once. Specifically designed to hold our City Champagne Coupe Glasses , City Gin Balloon Glasses, City Champagne Glasses and City Margarita Cocktail Glasses.